Android for Beginners: Beyond Auto Mode – Galaxy S3 Camera . Everybody loves snapping pictures with their Samsung Galaxy S3, but how many of us use any of the camera settings other than Auto Mode? While the S3 camera’s automatic settings are pretty good, there’s a whole bunch of other cool stuff you can do photographically with your S3 if only you know how. And I don’t just mean all the other pre-set modes the device offers! Using Best Face or Beauty Mode doesn’t make you a great photographer! So we’ve put together a basic introduction to the S3’s camera settings to get you shooting better photos pronto. Resolution is the first thing we need to clear up. The higher the number on your camera, the more megapixels it can capture. The megapixel count relates to the camera’s sensor, where all the image capturing happens (like film in traditional photography). A pixel is a single point of color, multiply this by a million and you have a megapixel. Multiply this by the number on your camera and you’re talking a whole lot of pixels on the sensor. 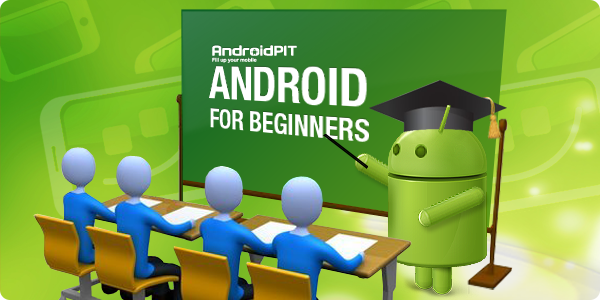 A higher number does not necessarily mean the camera is better, just able to capture more information. But this power is almost never necessary for the average photographer. It’s like having a Ferrari engine in your lawnmower – there’s not much point unless you’re going to use it to its full potential. The S3 comes with a very capable 8 MP snapper that doesn’t get to the point of pointless overkill. Keep in mind that what we call Full HD (1920 x 1080 pixels) equates to roughly a 2 MP camera! And a 2 MP photo (1800 x 1200 pixels) can be printed at magazine quality (the equivalent of about 300 pixels per inch on your screen) at 4 x 6 inches – the size of your average printed photograph. Depending on the size of the display, the resolution may be wasted: if you’re looking at a 13 MP photo on a tiny phone screen with poor resolution you’ll never notice the difference. Likewise, unless you’re cropping your photos a lot, taking 13 MP photos you’ll never print in large format or broadcast on your huge TV is a waste of data storage space. The 8 MP S3 cam can comfortably produce excellent quality printed photos at 8 x 10 inches or even 8 x 12 inches (A4-size). The vocabulary of digital photography may be incredibly daunting if you’re unfamiliar with it, but the good news is, it’s actually not that hard to get a handle on. Mastering it is a different story, however! The terminology is, however, common to all digital photography, and there’s only a few things you really need to concern yourself with if we’re just talking about smartphones. I’ve used the S3 here for settings demonstration purposes and because it’s such a popular device, but the definitions and general rules of thumb are common to all cameras. Aperture is a fancy word that means hole. The aperture of the camera simply means the size of the hole in the lens that allows the light to pass through it and onto the sensor. It’s pretty easy to wrap your head around: the bigger the hole the more light gets through, the smaller the hole the less light gets through. Aperture is measured in a number preceded by the letter ‘f.’ Just to be a little confusing though, the number and what it means is inverted: the higher the number means the smaller the hole, and vice versa. Fortunately for S3 owners, the S3 camera has a fixed aperture of f2.6 (which is quite large) so you don’t need to worry about changing it, but at least now you know what it means! ISO is pretty straight-forward too: basically, when you have low-light scenarios, like indoors with the lights out, at night or in dimly-lit places like restaurants or bars, you generally need to get more light going into your camera’s sensor to be actually able to record an image. The problem with this is that the more sensitive to available light the sensor is, the more ‘noise’ you are likely to get too. Noise is the grainy quality you would more than likely already be familiar with when taking these kinds of photos. The lower the ISO number (eg daylight shooting) the less sensitive the sensor is to light (and thus ‘noise’), the higher the number, the more sensitive. 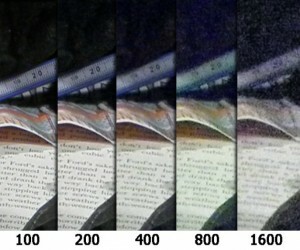 The S3 has a manual ISO range from 100 – 800, but from 80 – 1600 in Auto Mode (DSLR cameras can go to 6400 or so). This one’s a bit of a no-brainer: shutter speed simply refers to how long the sensor is open to the light that floods in. Of course, in an S3 there is no control over shutter speed, the shutter action is controlled by the processor activating the sensor. The faster the shutter speed the quicker the image is taken, meaning the shorter the amount of time the light has to get itself on the sensor. This is great for bright sunny days when you have more light than you know what to do with, but terrible when it’s dark. You also need fast shutter speeds if you want to capture something moving very fast though, like animals, sports action or moving objects. The S3 handles these sitautions quite well. Slower shutter speeds, inversely, are great for when there’s less action or light in front of the camera, and they mean that the sensor is exposed for longer, capturing much more light and detail. As you can probably guess, the longer the sensor is open the more noise, camera shake and other assorted bogeymen can get into your photos. The S3 tends to prefer slow shutter speeds over higher ISO in low-light situations (in Auto Mode), meaning you’ll get more camera blur but less noise – this is important to know if you want to get better shots in low-light. To get the highest ISO setting of 1600, you can not set the shutter speed, however, as you’ll need to be in Auto Mode. You can get really nice effects with a stable camera and slow shutter speeds, like light tracing, if you know how to set it up. There’s plenty of photo tool apps available that will let you do this. Again, pretty self-explanatory, white balance is simply the way in which the white in your photos is balanced with the white objects you’re photographing. 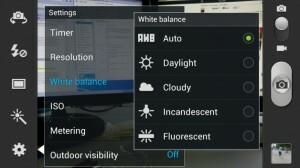 Times of day and light sources affect the white balance. For example, early morning or evening photos and artificial light sources like fluorescent tubes or Tungsten lighting can drastically change the color tint of your images. While our eyes manage to handle this kind of change easily, smartphone cameras struggle. 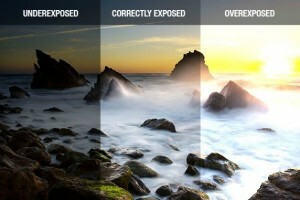 So if you always seem to end up with blueish, pinkish or orange tinted photos, now you know why. Fortunately, smartphones come with plenty of preset white balance modes than can solve most problems if Auto White Balance isn’t producing the result you want to see. If you familiarize yourself with these common settings and what situations they are suited to, your photos will start looking much better much quicker. 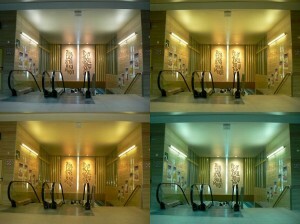 Get your photo whites matching reality under different light sources. So what does this all mean? Ok, so if I haven’t lost you yet, all you really need to know are two things: first, that almost all of these options operate in relationship to one another, so once you’ve learned the relationships you’re well on your way. Daylight: low ISO/fast shutter speeds. Night time: higher ISO/slower shutter speeds. And the second is that you shouldn’t be afraid! Instead of burning endless hours surfing the web in your downtime, try to get to know your device better, scroll around the camera options and try out a few shots and see what results you get. There’s also a lot of apps available with other pre-set shooting modes and you can also set up your own preferred settings as user-defined modes for things you shoot frequently. The best news for smartphone photographers learning these features is that your S3 has a fixed aperture and doesn’t give you any control over shutter speeds. So two parts of the relationship already taken care of! An aperture of f2.6 allows a lot of light in all the time. This means your shutter speeds are generally going to be very fast as there’s so much light hitting the sensor you don’t need it activated for long, this also limits the effects of camera shake or motion blur. Likewise, your ISO can stay low because you don’t need the sensor to be extra-sensitive if there’s lots of available light. So, the larger the aperture (or the higher the ISO setting), the faster the shutter speed you can use to get the same amount of light. Metering Mode is kind of like the auto focus point – it tells the camera which part of the frame you want to be exposed optimally. If your S3 is giving you grief on this front (either constantly over or underexposing your shots) this could be the problem, but you can change the metering mode manually. Like most digital cameras, the S3 has three metering modes: matrix, center-weighted or spot. Matrix metering, besides sounding cool, lets the camera know that you want to give equal importance to everything in the frame, so it will assess light from all sources and try to expose the shot to the best of its abilities. This is great for beginners as it handles complex lighting arrangements quite well. 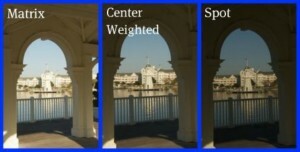 Centre-weighted metering will give priority to the area in the centre of the frame and take a little from both extremes of light, giving you as balanced a result as possible, although prioritizing the central area. Spot metering takes the exposure information from a very small area, which you can place anywhere you like to take the light metering reading from, kind of like focusing on an object and then reframing the shot. When it comes to low-light situations, however, things need to change, and this is where most smartphone photographers experience problems. Because the aperture of the S3 is fixed, if you’re having issues with low-light photos, you need to change your ISO setting (because you can’t control shutter speed). The higher the ISO the faster the shutter speed will be to stop too much noise entering your sensor, but because there’s not much light available, you run the risk of camera shake, especially if you’re holding the camera vertically (as it will move when you hit the shutter button). Because you only have limited controls over what the S3 can do, this is one of the main areas the S3 camera is limited, despite its Low-Light Mode. But you can do a few things to try to better your photos: use spot lighting to light the focus area before taking the photo, so the S3 knows where to set the focal length (you’ll have to be quick though as the S3 refocuses quickly! ), or you can make the camera as stable s possible to avoid shake. Just find a stable surface and put your phoen on it to snap. This is a very basic introduction to digital photography beyond Auto Mode on your S3 and should not be taken as authoritative. I am certainly no expert. There’s also heaps of other pre-set modes that can handle a wide range of situations, if only you bother to use them! It was the intention of this article to let you see that it’s not all so complicated once you know the terms and what they mean and how they relate to one another. You simply need to play around and fine-tune your settings to get the results you want. But once you can do this, you’ll see your S3 in a whole new light and may be ready to tackle a real DSLR. By the way, did you know your S3 can enter camera mode simply by touching the lock screen and holding your finger down as you rotate the phone to landscape orientation ? Neat, huh? So get snapping! 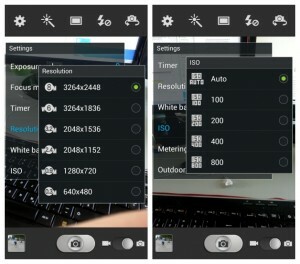 Do you want to know more about your phone’s camera options? HDR? Dynamic range/contrast ratios? Low-light portraits without flash? Let us know what photos you want to take!